Creating a spectacular light show from its 320 RGBW LEDs, the Festival emits bright vibrant colourful beams of light from its five LED clusters. With wide coverage, the Festival fires out dozens of red, green, blue and white beams which project over large areas of walls and floors producing razor-sharp shards of colour. This awesome Festival from Acme makes for a hugely exciting nightclub or mobile DJ centerpiece. The Festival's powerful LEDs have an exceptional lifespan, eliminating the hassle and expense of lamp replacement. When its 320 LEDs are running at full power, it draws a mere 40 Watts of current, allowing users to save on energy costs and with little heat output, the unit can run all night. A 4 button LED display on the rear of the unit allows DMX control over the Festival which can be operated via 4 channels. It can also run without a controller as a sound active effect, or linked in multiples master/slave via XLR cables. The Festival can also be operated with an optional CA 8 remote controller, providing an easy way to control blackout, internal programme selection and other functions. Considering purchasing the Acme Festival Multi Light LED Effect? Have questions? Ask people who've recently bought one. Do you own the Acme Festival Multi Light LED Effect? Why not write a review based on your experience with it. 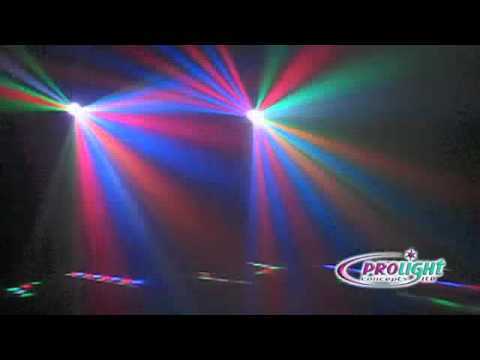 Personally not to keen on the light but would be great for mobile djs, the led spots don't look to professional but it works well and is effective! 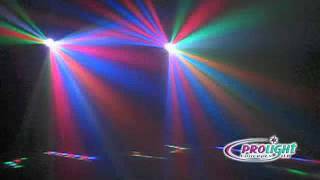 Seen a video for Acme Festival Multi Light LED Effect online or have you own video? Check out Acme Festival Multi Light LED Effect on DJkit.com!